Every week Stampin Up introduces items that are on sale for 1week only. 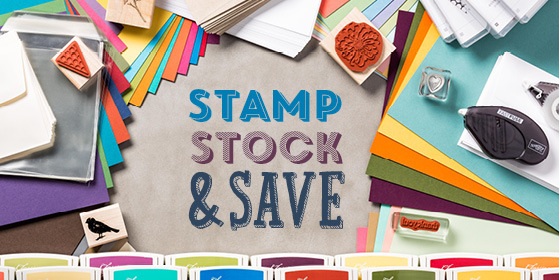 Check out the latest batch of Stampin Up deals. Discounted items for this week end on October 6th. If you see something you want to order use the sign in or create a new account to place your online order. If you don’t want to place the order online email me your order and contact information at cathymorgan@wideopenwest.com and I will place the order for you but will need to have a form payment before the order will be placed. For the weekly deals, it would be best to have a credit or debit card available. Stampin’ Up! is so excited about this year’s World Card Making Day, that we’re having a ridiculous 15% off sale on some of your favorite products! From October 1-6 , you’ll be able to purchase select ink, paper, envelops, and adhesive-all at a 15% discount! Select stamps are 20%! Now is the time restock your supply, and to prepare for a holiday season. When the annual catalog came out and I saw the Happy Umpteenth Birthday sentiment in the Oh My Goodies stamp set, I knew I had to get it for my “Pretty” friend Bev’s birthday. Bev always calls her birthday the Umpteeth birthday. 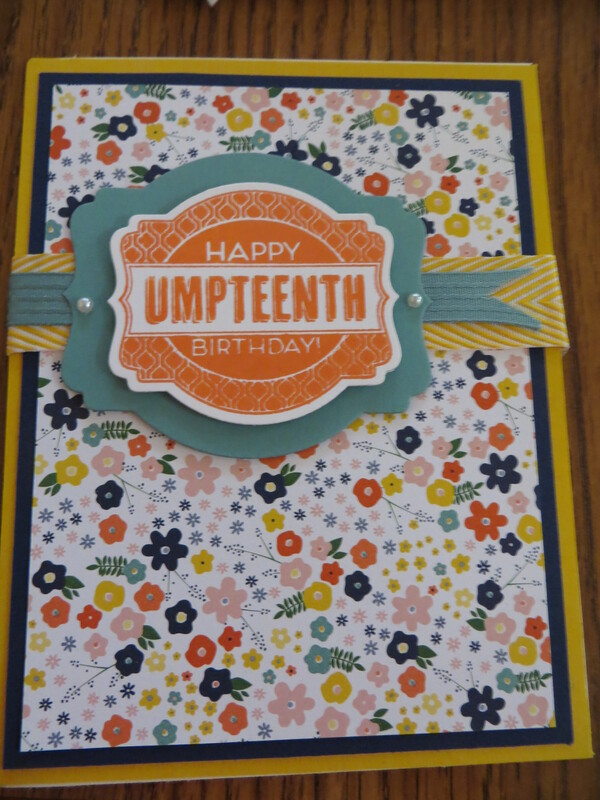 Well today is Bev’s “umpteenth” birthday and today’s card is the card I made for her birthday. The background DSP is from the Stampin Up Flowerpot #133698 DSP paper collection. I then layered a piece of the Crushed Curry Chevron ribbon #130019 and then a piece of the Lost Lagoon 3/8″ satin stitched ribbon #133672. For the focal piece I used the Oh My Goodies Stampset #134090 and the coordinating Deco Labels #130102. Today is a double bonus card day to showcase the fabulous Back to Black DSP #133700. I love to showcase the versatility of this fabulous DSP. 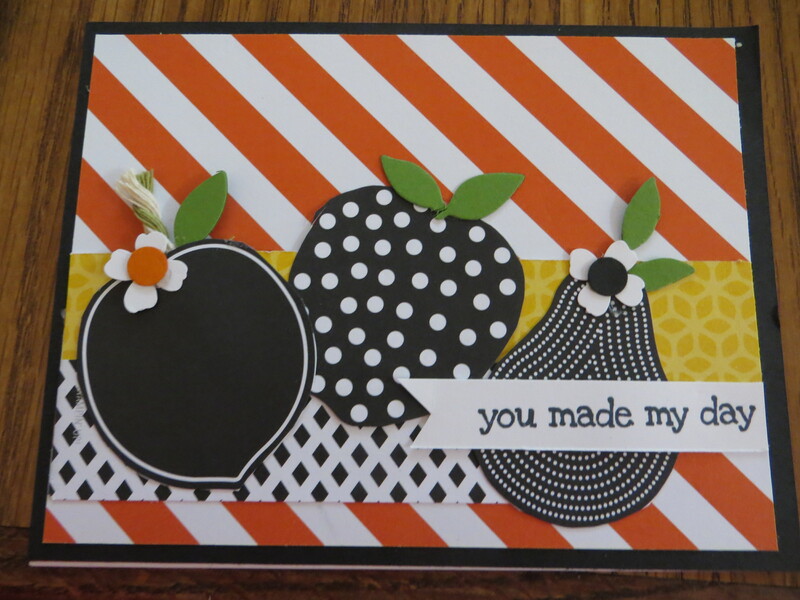 For the 1st card I just used the fruit piece of the Back to Black and the new Stampin Up Blendabilities to color the fruit. 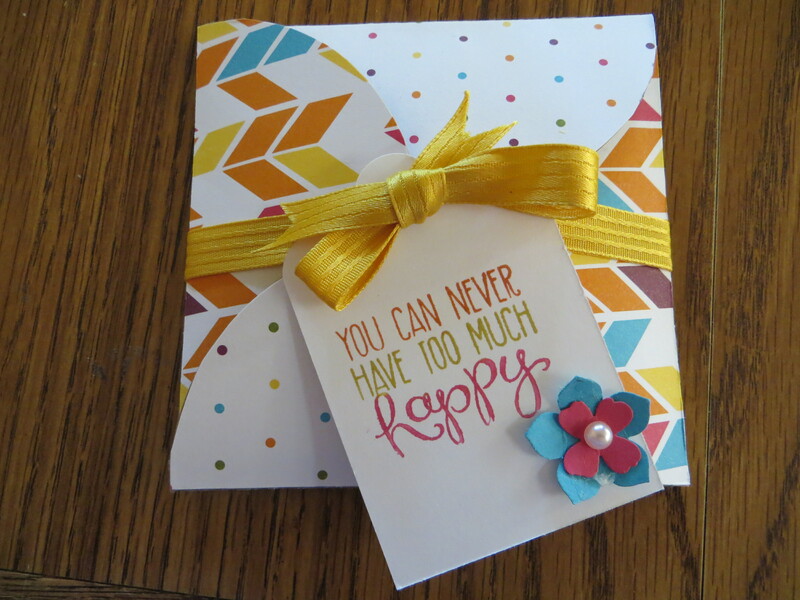 I added the sentiment from the Ray of Sunshine # 134210 and some random scraps of coordinating ribbon and cardstock. 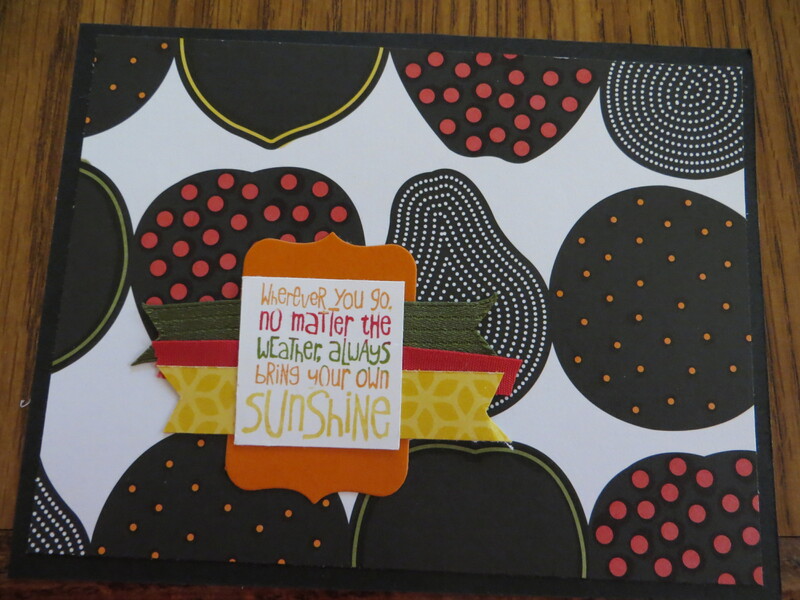 For the second card, I made a very bold statement with the Tangerine Tango striped DSP from the Flowerpot #133698 DSP collection of Stampin Up papers. I then cut the individual pieces of fruit from the Back to Black DSP and added leaves from the Little Leaves die (now retired) and the cute Itty Bitty Accents floral punch #133787. 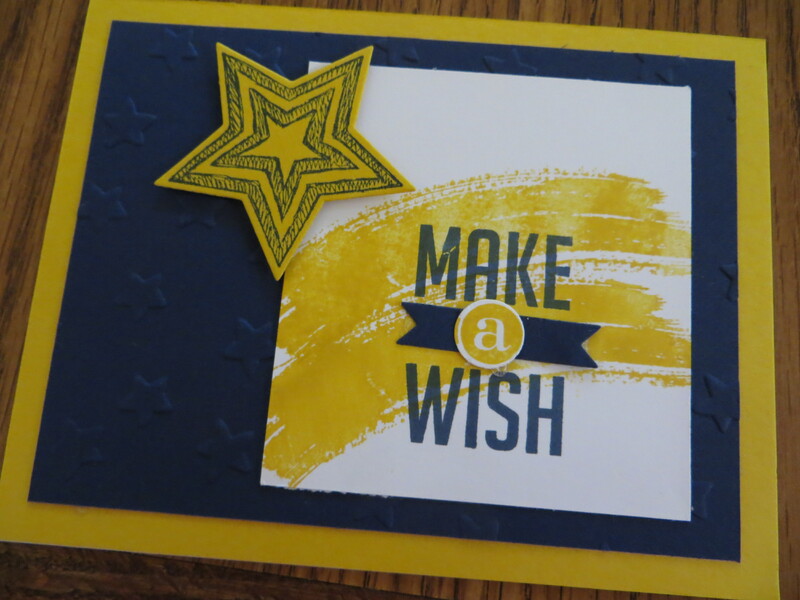 To finish the card I added a sentiment from the A Dozen Thoughts #131059 stamp set and hand cut the banner. 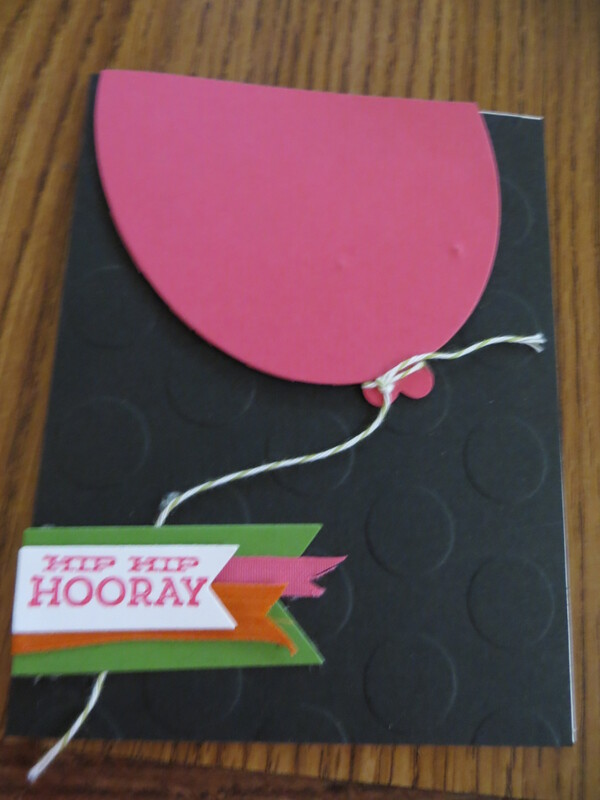 Nothing beats pink and black together and pair that with a gigantic balloon and you have a an instant birthday card. The black background is textured with my new favorite textured impressions embossing folder- Large Polka Dot #133739. I made the balloon using the Ovals Framelits #129381 and a heart punched from the Itty Bitty Accents #133787 and wrapped a piece of whisper white Bakers Twine #124262for the string. I added the sentiment from the Hip Notes #133504 stampset and some banners cut using the Banners framelits #132173 and added 2 pieces of ribbon (melon mambo 1/4 ” cotton #134566 and tangelo twist 3/8″ Stitched Satin #133669). I will definitely switch the balloon color to a easily transform this into a masculine birthday card. 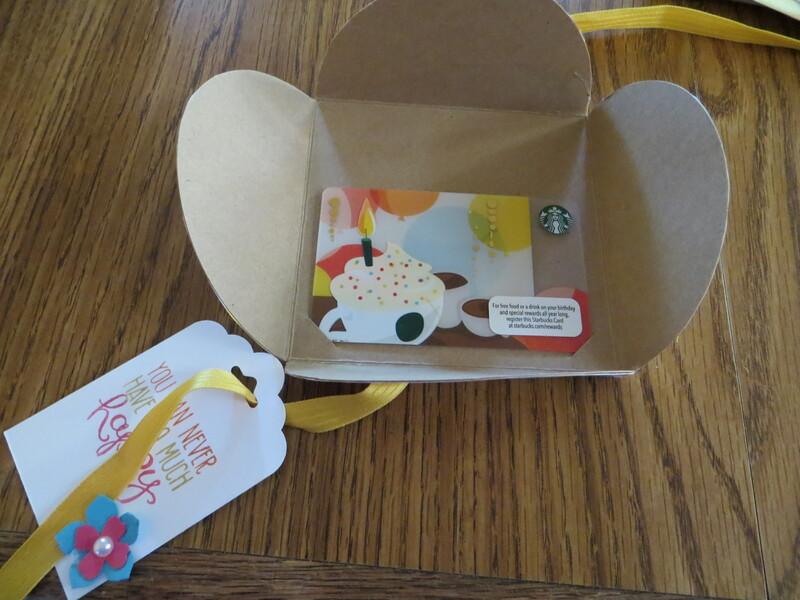 Today’s post is a shows a great way to decorate the Stampin Up gift card enclosures #136662. Each pack of gift card enclosures is a pack of 10 precut. prescored, gift card enclosures from Kraft cardstock. They are ready to decorate and add a gift card inside. I use the fun Sweet Taffy DSP#133693 not only because it coordinated with my Starbucks birthday gift card but I think the paper screams birthday fun! I added a tag made using the Scallop Tag Topper #133324 and accented it with a layered flower punched from the Petite Petals #133322 and the Itty Bitty Accents #133787 punches. I added the sentiment from the Yippee Skippe stampset #131344 an tied it closed with a piece of Hello Honey 3/8″ Stitched Satin Ribbon #133671.